I dedicate this article to my friend who has recently suffered a lot because of her jugular spine. 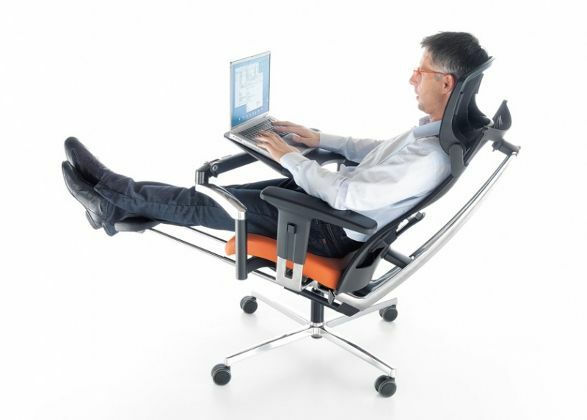 Everyone who works at the computer for many hours a day, either professionally or in the leisure time, knows that comfortable chair and desk are the necessity. According to the results of the latest ergonomic studies regarding optimal body position at work, a sitting-lying position is the healthiest and most comfortable one. What's more, it also conduces a prolonged concentration. 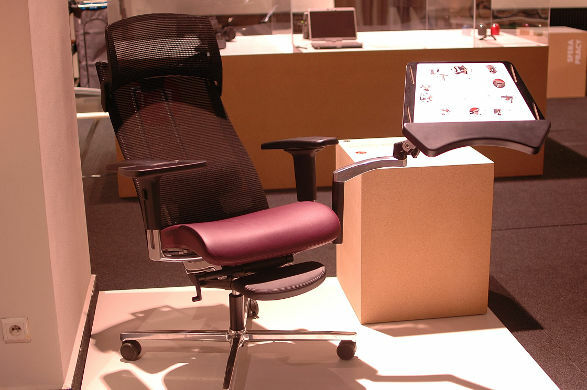 These results inspired The Institute of Industrial Design to create in cooperation with Studio 1:1 Jarosław Szymański and PROFIm an innovative multifunctional chair and computer workstation called mPosition, which ensures comfort and mobility. 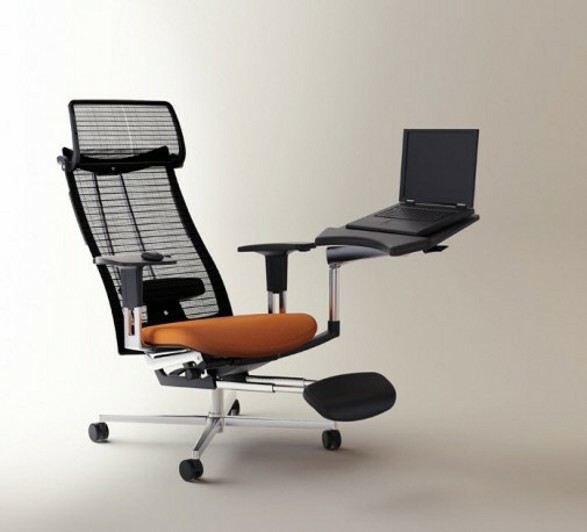 Apart from the unique position of working, another feature which distinguish mPosition from classic desk station, is its high adaptability to personal needs and preferences of its users. 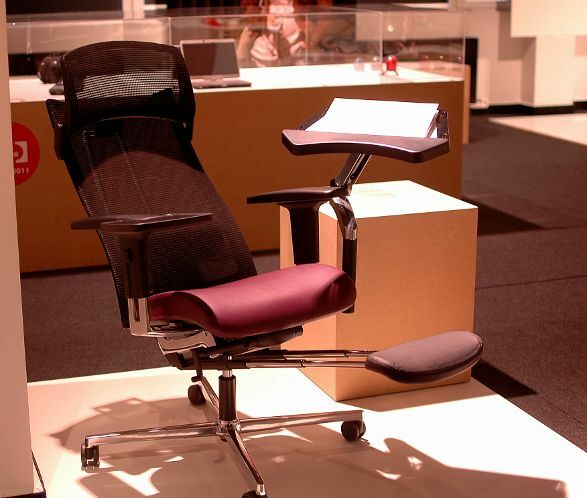 The chair has a fluent adjustment of the tilt angle of the seat and the backrest. 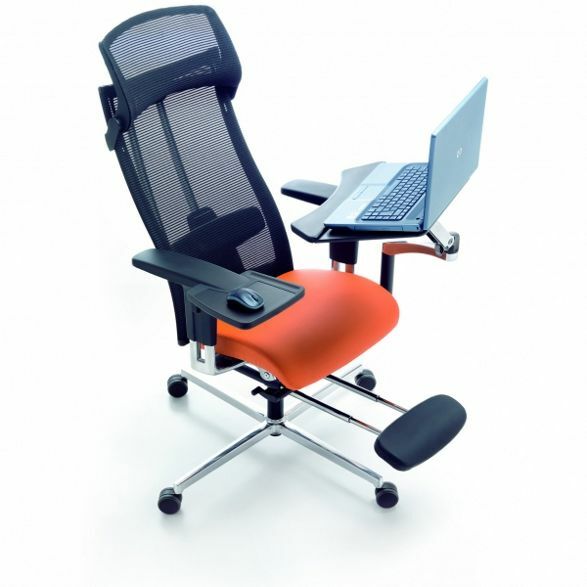 The synchro mechanism adjust the swerve of the back to the weight of the user and combines them with the function of seat jutting. 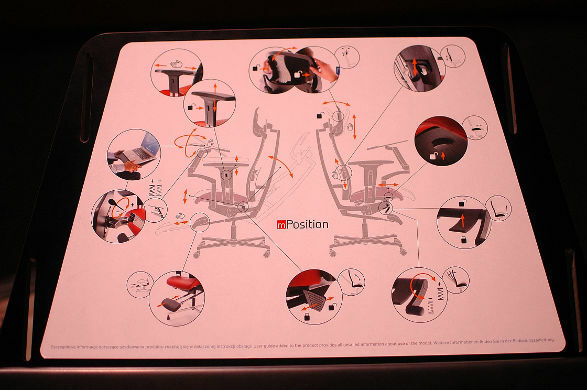 The chair is also provided with fully adjustable notebook table, lumbar support and headrest. 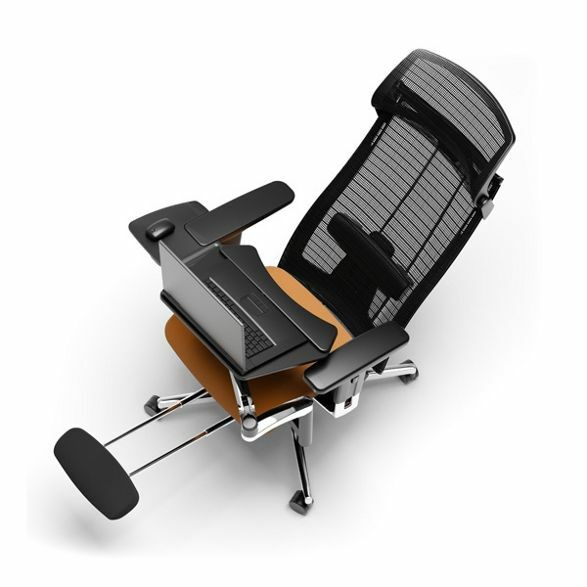 Moreover, the mPosition is complemented with an extendable footrest as well. All programmers, computer graphic designers and blogers, all players and home theater enthusiasts, who have spare 1500 USD, invest in your body posture and increase your concentration level! Chairs. Comfort is the priority. Illuminant cobblestone Bruklux by K&K Products. The unique outdoor illumination. Koko side table for those who use bed not only for sleeping Multifunctional tree grid and bench – new idea for enriching public spaces by mmcité. Revolutionary ceramic gas hotplate for your kitchen. DynaCook X5 by Dynaxo The vision of ideal workplace in waiting areas. 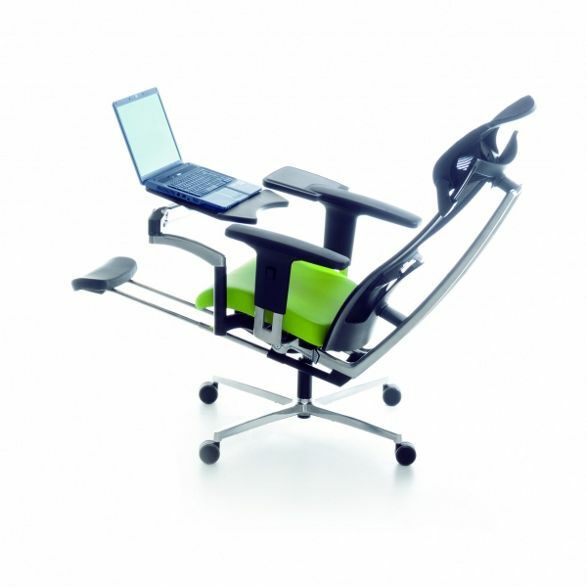 Easy Rider Bulo mobile desk-seat.